Did the National Zoo for a day. As expected, there were animals, including Bao Bao the panda cub. 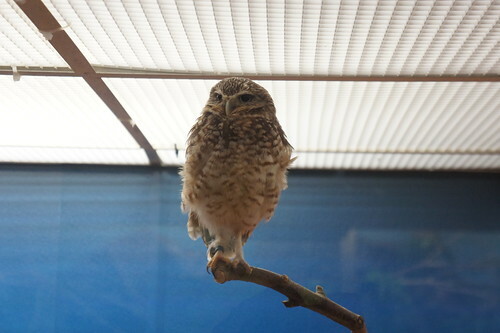 Owls were in rare form at the bird house. 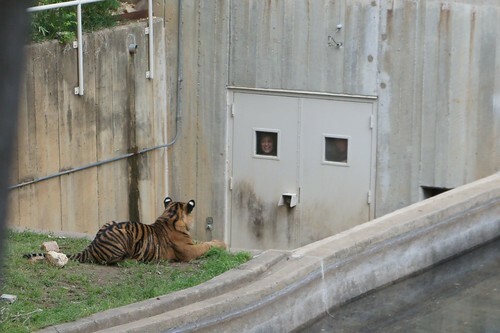 A tiger was very interested in the zookeeper grinning through the reinforced doors. 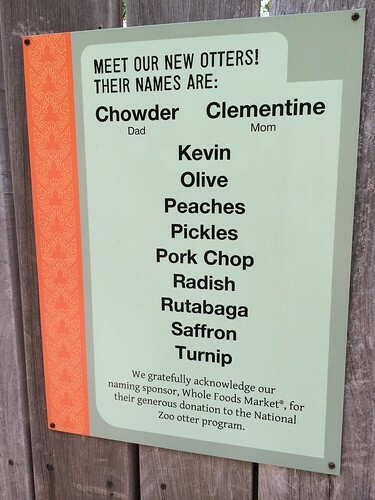 Meanwhile, one of these Sponsored Otters is not named like the others. Full zoo photo album here.